Just ahead of IFA in Berlin, HTC is dropping news of two new phones and a speaker accessory. 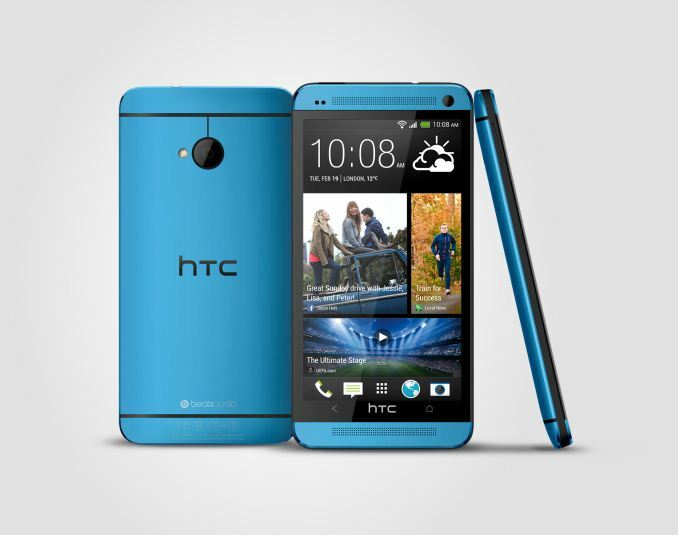 The two new phones are the Desire 601 and 301, which round out the midrange tiers of HTC's 2013 smartphone portfolio, and a "vivid blue" variant of the HTC One and One mini. Finally HTC is announcing a new accessory dubbed BoomBass which accompanies the HTC BoomSound experience with lows that the HTC One's dual front facing speakers can't quite produce. 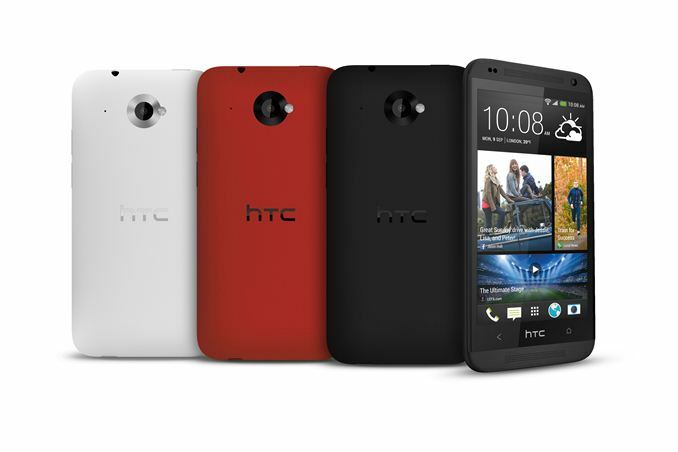 The first is the Desire 601 which looks it takes industrial design cues from something of a cross between the HTC One S and One X. The 601 looks to include relatively modest specs, and includes a 4.5-inch qHD display, 1.4 GHz Snapdragon 400 (MSM8930) SoC, and 5 MP rear facing camera with aperture and focal length that mirror the One system from the previous year's lineup. The 601 also continues the use of stereo front-facing speakers. The Desire 300 is a rung below the 601, with an older Snapdragon S4 SoC (maybe MSM8x27) at 1.0 GHz and 4.3 inch WVGA display. Camera moves down to 5 MP with F/2.8 aperture and 34mm equivalent (35mm equiv) focal length. 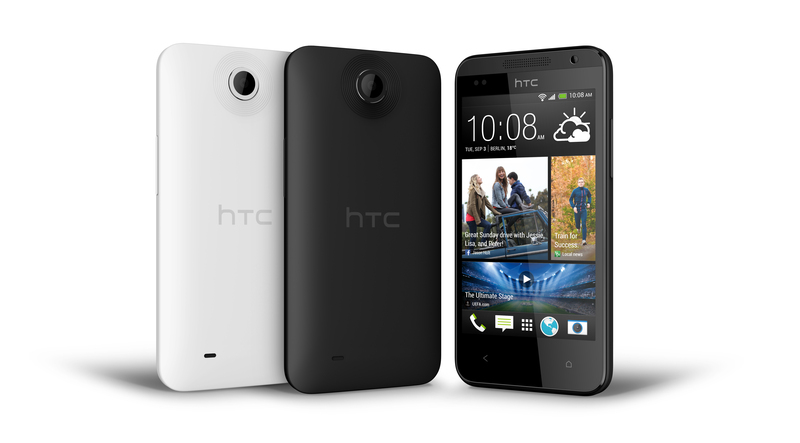 The HTC Desire 601 runs Android 4.2.2, the Desire 300 runs Android 4.1.2 probably because of the older SoC inside. I've made a table based on the specifications that HTC has made public for the two new devices. Availability is given as being in October 2013, with no specific word on pricing. Next up is a bluetooth accessory for HTC phones, a discrete compact subwoofer with dedicated amplifier designed to accompany the BoomSound experience on smartphones, called BoomBass. There's no supplied photograph of the BoomBass, but hopefully it's small and compact. Supplying a discrete subwoofer and nothing more is a bit interesting, since HTC already has the Beats Pill accessory which works well. The BoomBass apparently is designed to fill the bass frequency response lacking from the BoomSound speakers on HTC's phones. 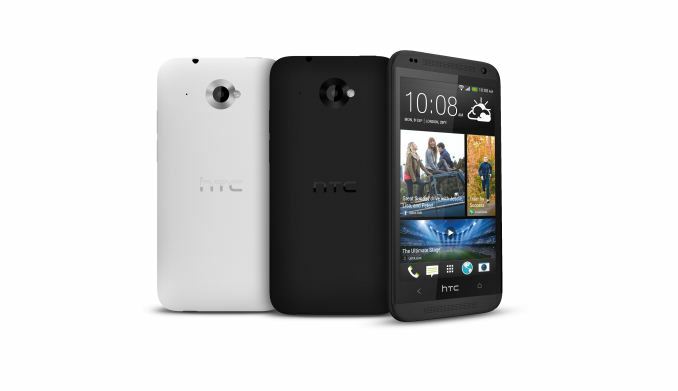 HTC is also announcing a "Vivid Blue" variant of the HTC One and One mini, which will arrive in some markets Q4 2013. That variant looks pretty striking, but there's no word on what that translates to for the USA operator landscape. Any way you could just give actual resolutions in the tables rather than these acronyms? I had to google qHD, because for a short moment there I thought it could actually mean Quad-HD. Seems to mean quarter-HD instead. qHD has been around for so long I didn't think anyone didn't know what it meant, but yes, 960x540 is indeed right, as in one Quarter HD. I usually always try to put the numbers beside the acronyms, just didn't this one time. You are not going to find articles for cheap noname Chinese devices in Anandtech, so why bother reading the article and commenting? Wow that blue One. Just. Wow. loved the blue One too. the black details match with the screen, and with this blue it looks like it came from some years in the future.